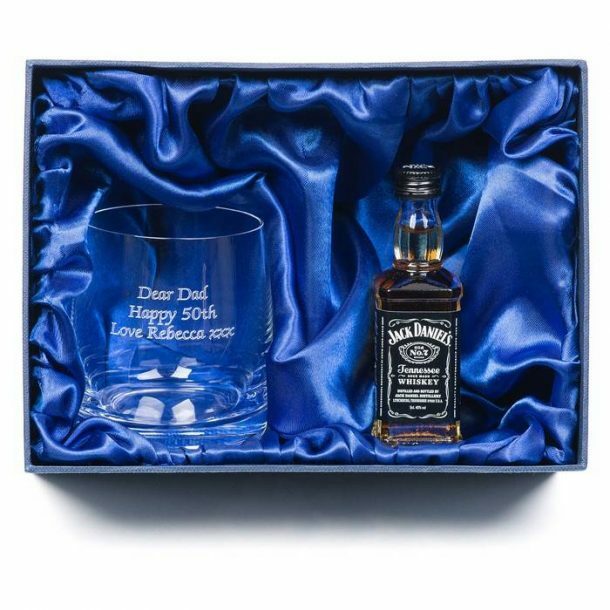 A lovely gift for the whisky drinker, in this Jack Daniels Whisky Tumbler Gift Set. 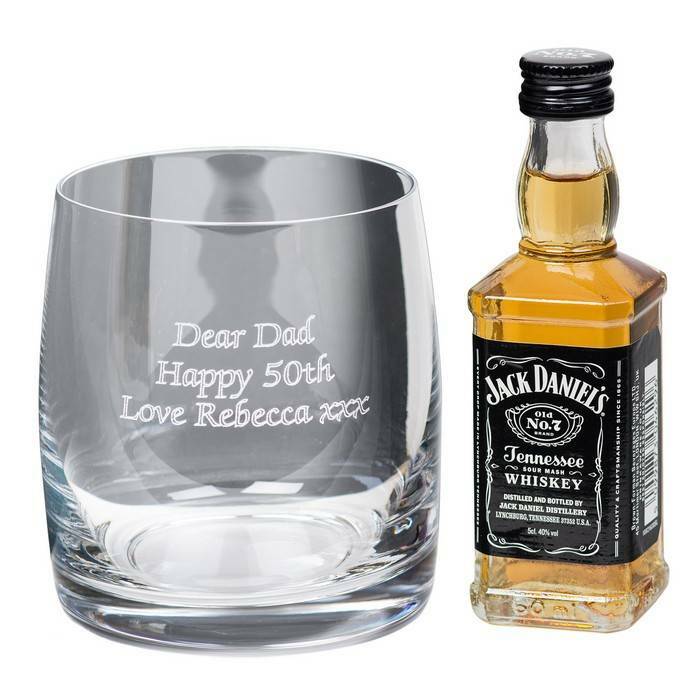 The gift set comes with a miniature bottle of Jack Daniels whisky, and a crystal tumbler that can be personalised with your own message. 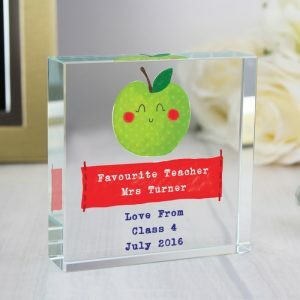 You can add up to 20 characters on each line, over 3 separate lines to the tumbler, making the gift truly unique to the recipient. 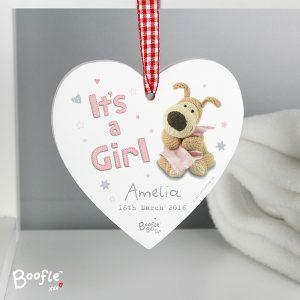 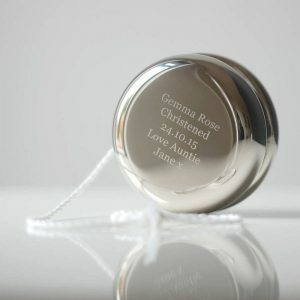 The gift is presented in a silk lined gift box adding class to an already stunning gift. 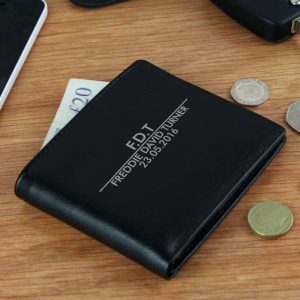 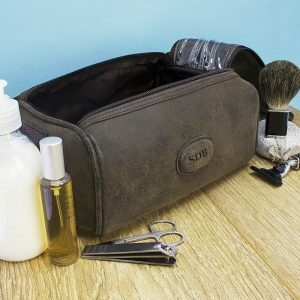 Suitable for every occasion whether it’s a Birthday, Christmas, Anniversary, Retirement or simply for yourself were sure you won’t be disappointed.